Do you have a productive work ethic? Are you committed to healthy physical, mental, and spiritual practices? Are you a non-smoker, non-drinker, and non-drug user? Then Enota might be for you! Please read every page of this web site & www.enota.com and if this is what you are looking for, please complete the on-line Application on this site and the shorter application at www.enota.com and send two current pictures of yourself to enota@enota.org - both a full body and face photo. Then call 678-708-6010 and 706-896-9966 for a telephone interview. References will be checked, so we can determine if Enota is the place for you. We also run a national background check on all applicants. A conservation effort with a mountain retreat center, cabins, RV & camping sites and an organic farm. Enota's Land is Kept In Trust to conserve for future generations. This is prime development property with its extensive infrastructure, waterfalls, streams, sheer beauty and prime location on the scenic highway to Brasstown Bald. We feel it is a great accomplishment everyday that Enota's property is not developed into single family homes. Enota is Cherokee for "the land that nourishes". 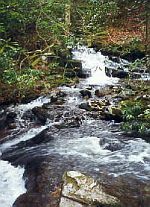 Enota protects over 60 acre held in Trust, surrounded on all sides by the National forest with 4 waterfalls, 5 streams and 2 stocked trout ponds. We are non-profit 501(c)3, volunteer organization. We are actively engaged in leaving our planet in better shape than we found it. Where is Enota? 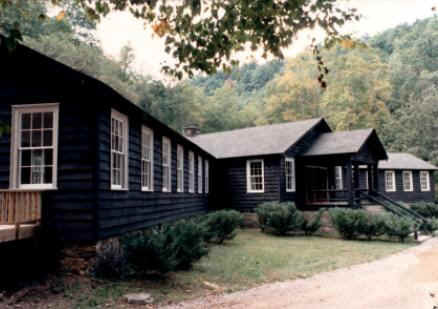 Enota is located in Hiawassee, Georgia, on 60 + wooded acres, which were once ancient, sacred Cherokee land, then a Cherokee village. When gold was discovered in the mountains in the 1800’s, the land was confiscated by the US government, and subsequently sold to a family who homesteaded it for 60 years before selling it to the YMCA, which used the land as a boys camp for 50 years. 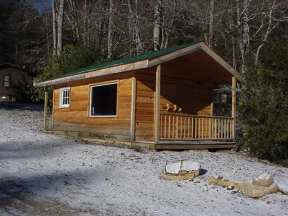 It then became an RV, cabin and tent campground and is now in Trust for conservation and educational purposes. It is surrounded by 750,000 acres of Chattahoochee National Forest and has never been used for cattle grazing or had any pesticides or chemicals used on it. It offers some of the cleanest air and water available. 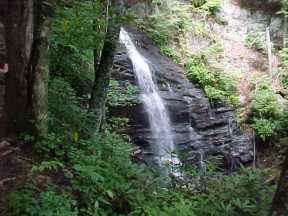 It is located 1 ½ miles from the Appalachian Trail (which can be reached from the property) and is a direct neighbor to Brasstown Bald Mountain, the highest mountain in Georgia. Enota is in the hospitality industry. 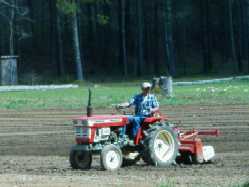 Work Exchangers cover and operate the retreat center, campground and organic farm. Work Exchangers are responsible for housekeeping, cooking, farming, grounds maintenance, customer service, gardening, animal care, construction, and maintenance. 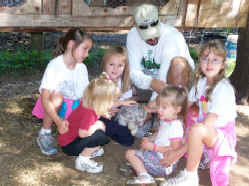 We run a retreat center with cabins, RV & campground facilities and an organic farm. For guests we offer an opportunity to use our facilities for personal retreats, conferences and workshops. Our accommodations now include: 10 cabins with kitchenettes, 18 small retreat rooms, 15 private rooms on the stream, 4 bunkhouses, 35 full hookup RV sites, Resident Lodging on the farm, 10 water and electric only sites, over 100 tent spaces and a heated bath house. We have a Lodge with a gift shop and store, a full commercial kitchen and dining room, and full conference facilities providing beds for up to 160 people. We have a pavilion that will accommodate 500 people and an outdoor kitchen. What Do We Do At Enota? We work hard every day to make Enota better and better for our guests and ourselves. Enota is primarily engaged in servicing the guests that come through the property. Secondarily, Work Exchangers take care of our animals, take care of the farm, work on our expansion and sustainable projects and preserve our land for future generations. Enota has a Work Exchange Program & Workamper Program for qualified individuals. We offer housing, clean air, pure water, and a beautiful environment. A small monthly stipend is available to those that qualify. Enota Activities. Inspirational hiking trails wander through and beyond the property. We also provide a satellite TV room, horseshoes, over 1,000 videos, playground equipment, and three in-ground trampolines. Local area activities include Lake Chatuge, Helen Georgia, hiking, waterfalls, white water rafting, tubing, boating, horse back riding, scenic train rides, antiquing, apple picking, fishing, panning for gold, Brasstown Bald Mountain, Appalachian Trail, scenic parkway drives, and much more. Enota practices organic farming. We have a fifteen-year old organic garden - one of the most labor intensive on-going projects. We have some fruit trees and berry bushes. Enota tries to use as much as possible from the garden. We advocate for a plant-based diet. Animal based products are available only on a limited basis. We do not provide organic food except for what is only provided from our garden when in season. We also provide eggs and raw milk from our farm. Enota has animals. In our commitment to be sustainable, we have chickens from which we will get our own eggs. We have eight Nubian goats, a miniature horse, two cows - which we milk daily, rabbits, ducks and other resident animals. Enota is not presently self-sustaining but we get closer every day. Enota would like to transition to alternative energy in the near future. We have a state-of-the-art hydroelectric power plant, which has the ability for 28kw and has the capability to run our main Lodge - it is not currently in use. As we now purchase all of our energy, we welcome any assistance in migrating toward an alternate energy solution.